In the past month, I’ve had 14 dental clients ask me about security chip credit card processing. 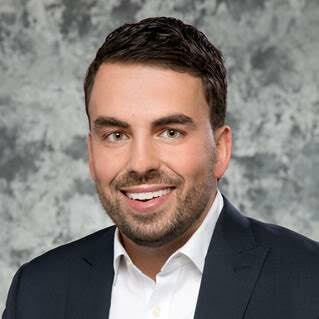 They have heard a lot about it on the news but are unclear about what it means for their business and dental practice. This blog is written out of a necessity to explain the impact this can have on your business, reputation and dental practice. Nearly 32 million U.S. consumers had their credit cards breached in 2014, more than three times the number affected in 2013, researchers say. Consumers might not know that exact statistic, but they certainly know the number of people impacted by fraud is high and becoming more of a problem. People are demanding that their banks do more to protect them against thieves, and banks are listening. As of Oct. 1, businesses – and that includes dental practices – that do not have a security chip processing device could be liable for fraudulent credit card transactions, according to the Better Business Bureau, or BBB. Often called an EMV card – which stands for Europay, Mastercard and Visa, the three processing firms that first agreed to the standards in 2002 – you may have also heard them referred to as chip-and-PIN cards, or smart cards. They have a computer chip inside that stores card account data. 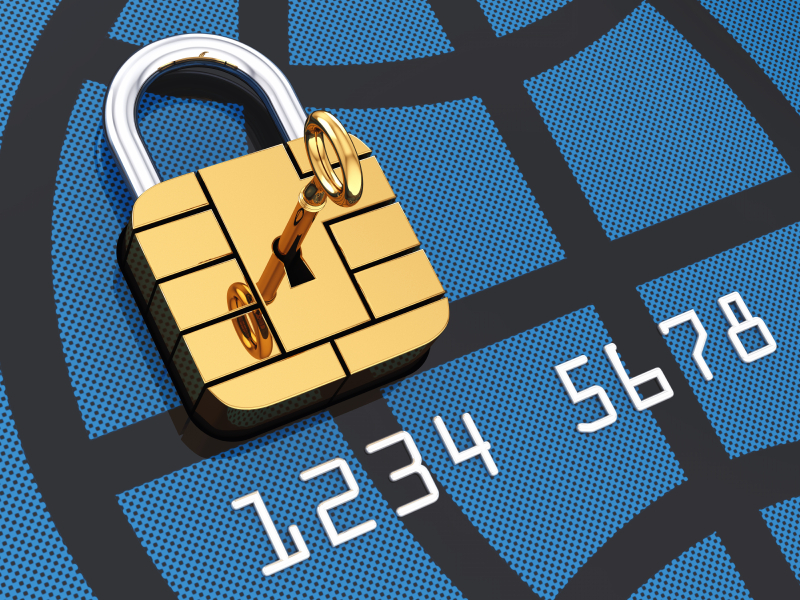 Unlike a magnetic stripe card, every time a security chip card is used for payment, the chip creates a unique transaction code that cannot be reused – therefore stifling would-be hackers and thieves. These cards are widespread in Europe and other parts of the world, and are being rolled out rapidly in the U.S.
Have you noticed all the new credit cards you’ve been getting in the mail? Notice anything different about them – like the chip on the front? There is a reason banks are investing in them – card chips are credited with dropping Europe’s fraud rate by 64 percent, according to the BBB. The bureau states that most of the world, including Europe, has been using chip cards for years, and that the U.S. is actually the last major market still using magnetic-stripe-only cards. Thus, almost half of the world’s credit card fraud now happens in the U.S., even though only half of all credit card transactions happen here. Why? It’s low-hanging fruit for hackers and thieves. Those who do not have chip card processing will be easy targets for thieves trying to make a quick buck at your financial expense – and worse – your business and dental practice reputation. So how important is business reputation? Important enough where credit card companies are now paying millions of dollars to replace old cards with new chip cards and to educate their clients about their value. News stories about chip cards are making national headlines and people are learning there is a more secure way to pay for goods than using the old, unreliable magnetic stripes. So what do you do about this as a dental practice owner? Those of you who have not become compliant and will not before Oct. 1 should not panic – there are many others in your boat. But it’s a good idea to start planning for a way to become compliant because the liability for a credit card that is stolen is shifting onto the business entity that is not compliant. As of Oct. 1, banks will be 100 percent compliant. Therefore, if a merchant is presented with a chip card and has the capability to swipe the magnetic strip – but is unable to process the chip – the merchant is the one that is not compliant, and will be liable for loss. You will have to pay the bank for the damages. However, if the merchant is presented with a fraudulent magnetic stripe card only, the loss will go to the card-issuing bank, as it does today. The liability of the charges falls on the side who has the least technology, and was not compliant. Sound familiar? This is much adopted from the philosophy of “standard of care”. Now that you have your new card in the mail, so do your patients and customers. They feel secure with it because not only does the new card generate a one-time number to identify the specific transaction, but it is also more difficult to counterfeit or copy. “Even if the card data and the one-time code are stolen, the card would get denied because the one-time code has already been used,” the BBB states on its website. 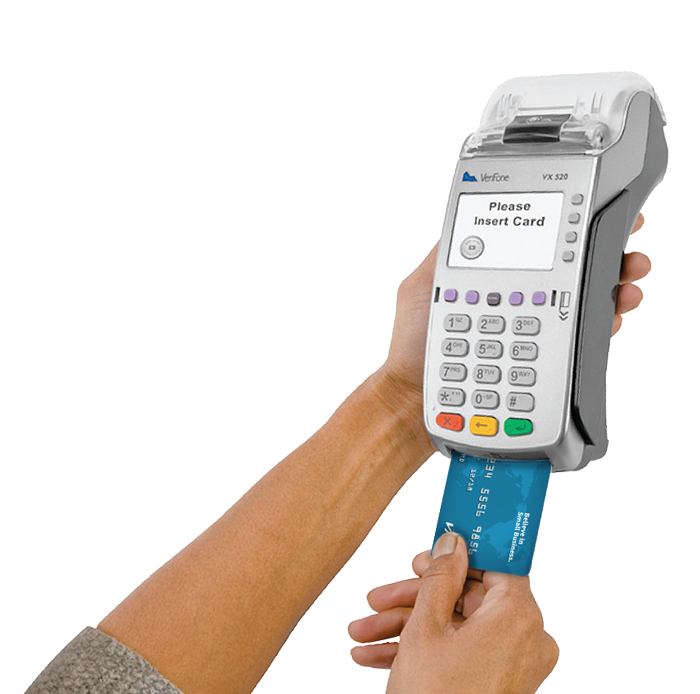 In order to stay current and compliant with new regulations, businesses need a new payment processing device to read chip cards using either ‘card dipping’ – where the chip-end of the card is inserted into a slot – or a terminal scanner that picks up the chip data when the card is placed either on or near the scanner. 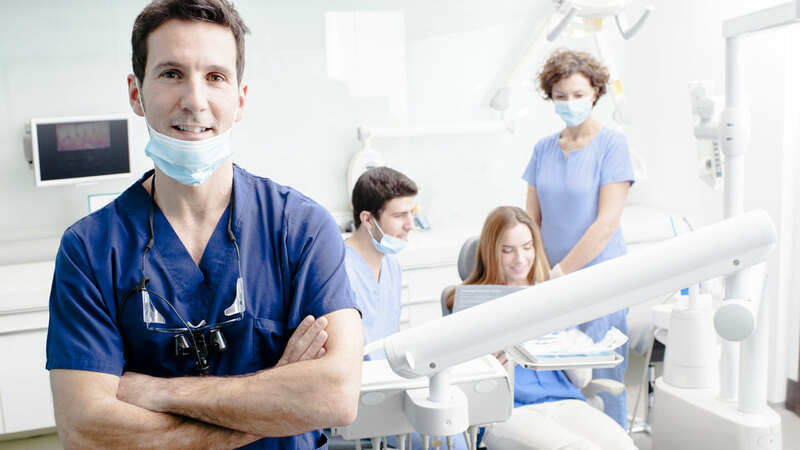 We have a complete solution that is cost-effective to help implement this technology into your dental practice. If you’d like to learn more about how not to be the one responsible for fraudulent charges – and protect your business and practice reputation – contact SurfCT.com today for a complete, no charge assessment. call us at 888-377-8206 ext 0 and mention code: EMV Secure for a special offer. At SurfCT, we pride ourselves on non-biased technology knowledge, complete integration, and a curiosity and thirst to understand your individual vision for your practice so that we can build a custom tailored system to achieve your goals. Great to see technology entering into the Dental Industry.